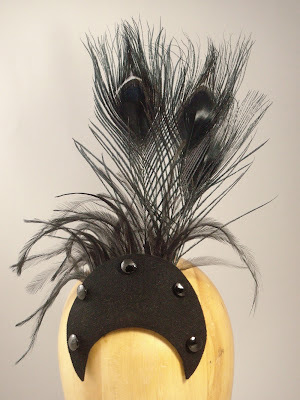 This new style of cocktail hat has a shaped piece of fur felt mounted on a tiny base; the comb to hold it to the head is attached to the base, so the outer side could be made into any shape, really. 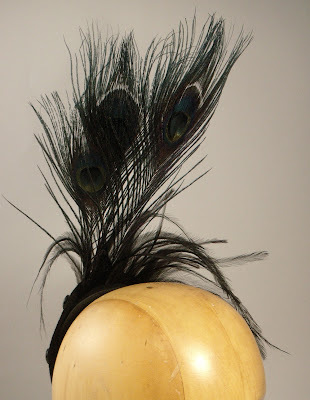 Originally devised as a custom order for a customer who wanted something that would nestle around the top of a bun. 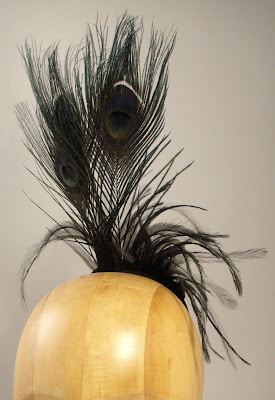 The emu and peacock feathers were sewn in individually by hand. Listed now on my etsy page.